特別インタヴュー：政党系財団づくりこそ政策論争活発化の第一歩にになる( 『改革者』, 2017.6, pp. 10-15. “Militär ja, Flüchtlinge nein.” Japans eigenwillige Interpretation von internationaler Verantwortung (“Military forces yes, refugees no.” Japan’s curious interpretation of international responsibility), Internationale Politik und Gesellschaft, 8 October 2015. [with Terawaki Ken] 映画が歴史を直視するとき (When Movies Look at History) Eiga Geijutsu 『映画芸術』 453 (Autumn 2015), pp. 66-71. 和解の歩み、異なる日独 (Processes of reconciliation, differences between Japan and Germany; interview article), Asahi Shinbun, 18 June 2015. 後藤新平とドイツ (Goto Shinpei and Germany). 『時代が求める後藤新平。自治／故郷／世界認識、1857〜1929』 藤原書店、 2014, pp. 185-188. Tawara Yoshifumi: “The Abe Government and the 2014 Screening of Japanese Junior High School History Textbooks” (translation of 安部政権と2014年度中学歴史教科書検定) The Asia-Pacific Journal (Japan Focus), Vol. 13, Issue. 16, No. 2, 27 April 2015. [with Sumizawa Hiroki, Aoyama Yasushi, and Yamaguchi Jiro]: 座談会：地方政治はどこまで国政に迫れるか Post Tokyo Governor Election: Future Prospective of Japan and Tokyo. Roundtable Talk “Voices and Power of Local Politics against National Politics: Life, Development, Anti-Nuclear Power in Tokyo”), 『生活経済政策』 no. 207 , 4/2014, pp. 8-21. 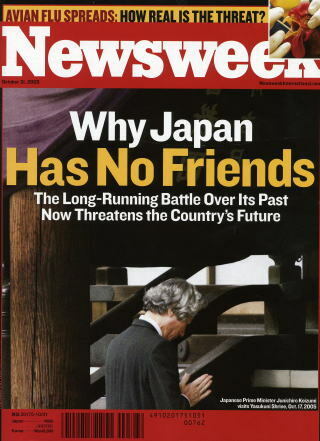 Could Hosokawa Morihiro’s political comeback restore sanity to Japanese Politics? 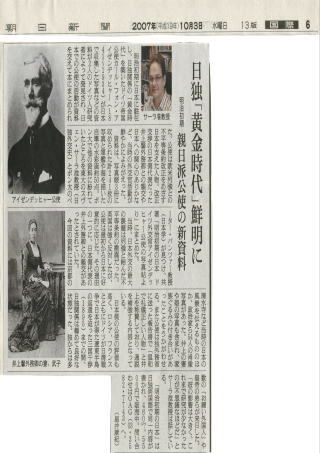 The Asia Pacific Journal (Japan Focus) 12, 4/2, 27 January 2014. Japan’s Fateful Elections. What the Abe Administration Portents. Socdem Asia Quarterly, October 2013, pp. 6-7. ヘートスピーチ。「人間の尊厳は不可侵」独は表現の自由制限 (Hatespeech. ‘The dignity of the individual is inviolable.’ Germany limits the freedom of expression) Kyodo News opinion column, printed in regional newspapers such as Kôchi Shinbun, Nagasaki Shinbun, Yamagata Shinbun, Iwate Nippô, and others. 7 August 2013. [with Christopher W.A. Szpilman]:東アジアにおける地域主義とアジア主義に関する歴史研究の現在 (Recent developments in research on regionalism in East Asia and Asianism). 『日本思想史学』(Journal of Japanese Intellectual History) 45/2013, pp. 199-202. [with Nogami Gen, Yamamoto Tadahito and Yanagihara Nobuhiro]: 研究座談会：戦争記憶の現在、これから (The Present and Future of War Memory). 『望星』(Bōsei) 9/2013, pp. 39-51. 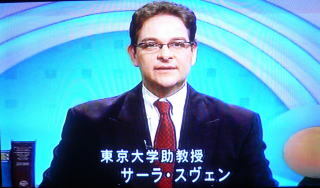 [with Christopher W. A. Szpilman] Japonya ve Pan-Asyacilik. 21. Yüzyil “Asya Yüzyili” olacak ( Aydin. Istanbul Aydin Üniversitesi Uygulama Gazetesi 1/2011 (1 Ağustos), pp. 21-23. [with Terawaki Ken] 戦勝国が描くナチス時代のドイツ。歴史的事実とフィクションの境界 (Nazi Germany in Movies of the Victor Countries. The Borderline between historical fact and fiction). Eiga Geijutsu 『映画芸術』429 (Summer 2009), pp. 66-70. Japanese Foreign Policy After World War I: National Sovereignty, International Cooperation and Regional Integration. Tôkyô: Deutsches Institut für Japanstudien, 2003 (DIJ Working Paper 03/3). 30 pp. Burgerinitiativen gegen Geschichtsrevisionismus. Neue Entwicklungen im japanischen Schulbuchstreit (Grassroots Initiative against Historical Revisionism). In: DIJ Newsletter. Information from the German Institute for Japanese Studies 15 (February 2002), pp. 1-2. Von Hunden und Walen – Fernoestliche Delikatessen und die Fussball-WM (Of Dogs and Whales: Far Eastern Delicatessen and the FIFA Soccer World Cup Korea/Japan 2002) . In: OAG Notizen, 06/02, pp. 8-17. For further reviews and introductions of the book in newspapers see the “Books” section.